Doctor Who Moves to New Night: The new Doctor, played by Jodie Whittaker, is on her way to our television screens, and she brings with her a new night for the show to air on. Doctor Who has typically been airing Saturdays at 9 PM EST in the States and earlier the same evening over in Britain. But with the October 7th debut of the show’s eleventh season, it shifts to Sundays at 9 PM EST (one of the most contested timeslots of the season for genre shows). It will debut and air on the Sundays in Britain as well, but the timeslot has not been confirmed yet. You can see the full Fall schedule of sci fi and fantasy shows at this link. Our story will reveal key experiences for Mal and Zoe during the Unification War that you’ve never seen before. And we’ll introduce entirely new corners of the star system with characters, organizations, and subcultures that are absolutely true to all the world-building you know but absolutely brand-new at the same time. It’s a huge tribute to the creators of the original show that their rich, intriguing world and hilarious, compelling characters could inspire so many additional stories. We’ve gotten the incredible go-ahead to do something particularly special in this new series — we’re digging deep into the Unification War, the galaxy-shattering event that shaped so many of our central characters. Many of the show’s central themes revolve around the way everyday people handle the threat of tyranny, the trauma of war, and the danger of falling into villainy when resisting a world run by villains. We’re getting the chance to reveal essential truths about our heroes’ pasts and put them through experiences in the here and now that they’ve never fully dealt with before. As a fan of the show who adores these characters, I can’t wait. The comic series is set to hit the stands in November. 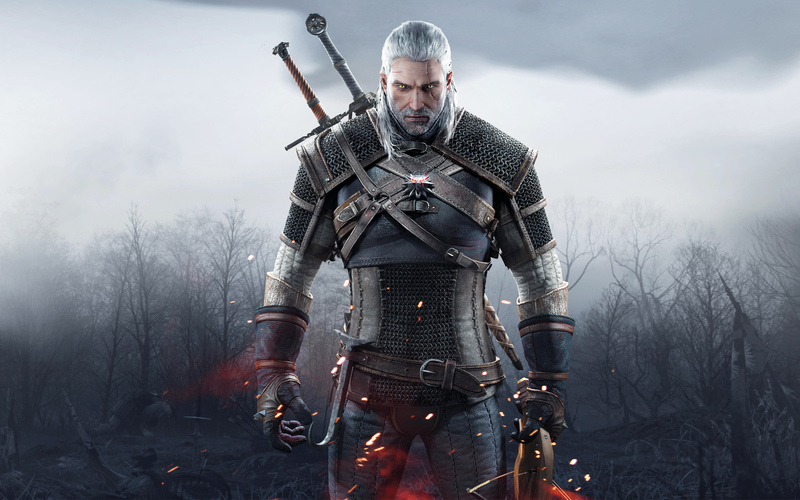 The Witcher is an epic tale of fate and family. Geralt of Rivia (Cavill), a solitary monster hunter, struggles to find his place in a world where people often prove more wicked than beasts. But when destiny hurtles him toward a powerful sorceress, and a young princess with a dangerous secret, the three must learn to navigate the increasingly volatile Continent together. Expect the series to debut at some point in 2019. Today TV screens are getting bigger and bigger and therefore the difference between theatre and domestic viewing has become really flimsy. The rule used to be that closeup shots were only done for TV, and not for movies. But today that’s no longer the case. Expect more details on this in the coming weeks and month and expect several of the television venues, especially the streaming services, to show an interest. The Fall season is upon us and will be bringing over forty new and returning sci fi and fantasy television shows. You can see our full preview of the coming season at this link. And be sure to stay tuned to this site and the Cancelled Sci Fi Twitter Site throughout the season for the latest ratings results and status updates for your favorite shows.